If you’re reading this page, chances are, you’re a seeker. You seek to improve your Self and your life. Your desire is genuine. You’ve devoted much time and effort to various self-help and self-improvement tools — books, videos, seminars or programs. 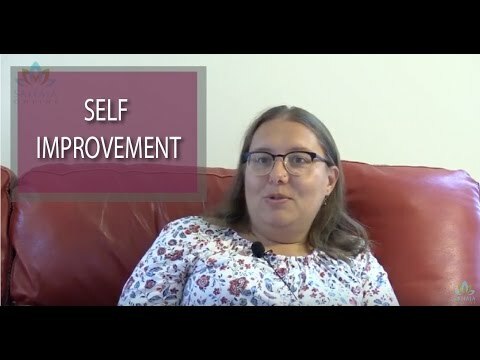 You’ve experimented with various self-improvement strategies and techniques. And perhaps you’ve made progress, but your journey has not yet been everything you hope for. Perhaps you find it hard to stay motivated at times, or perhaps you still judge yourself harshly and compare yourself unfavorably to others. Perhaps you even doubt your self-improvement journey. Whatever you’re seeking, Sahaja meditation will help you find it. We are drowning in a vast (and often costly) sea of self-help tools. And certainly, knowledge and understanding is to be valued. But all the knowledge in the world without purpose and right action won’t achieve your goals. Meditation is an actual practice and that practice will add meaning and purpose to all the self-improvement advice that you’ve absorbed over the years. In fact, for some, a meditative practice becomes a one-stop shop for achieving self-improvement goals. With Sahaja meditation, regular practice becomes actual progress, as opposed to simply having knowledge of self-improvement strategies. Sahaja is a self-help program that actually helps. It only takes a few minutes a day. And it’s free. If you sometimes feel overwhelmed by work, family and personal responsibilities, Sahaja meditation can help you manage stress, master your emotions and find solutions to your problems. Through meditation, you’ll harness the healing power of your inner energy to improve your mental and physical resilience. You’ll be better equipped to cope with whatever stressors come your way. Meditation helps you focus on the present, rather than ruminating about the past or worrying about the future. It becomes much easier to release negative emotions, increase positive emotions. You form deeper interpersonal relationships. Through Sahaja meditation, we find the answers we’re seeking from within, rather than needing to rely on the external world for understanding. In other words, through meditation, healing and self-improvement come from the inside out, rather from the outside in. One key benefit of Sahaja meditation that self-help aficionados appreciate is its ability to recharge energy and eliminate any lethargic tendencies you may have, which empowers you to actively and passionately execute your self-improvement strategies. And the mood boost and positive emotions generated by meditation increase your self-confidence in your ability to successfully implement those strategies. You’ll find that you don’t give up so easily and aren’t so easily derailed by obstacles. Obstacles and setbacks become stepping stones. You’ll learn from them, rather than breaking down or giving up. Even if every endeavor is not successful, you’ll move forward in the right spirit. You’ll have the perseverance and willpower to keep trying, without being plagued by doubts or fear of failure. It may even seem as if all the abstract natural forces are on your side, that luck, prayers, and universal good will are working in your favor and providing the answers that you seek. Sahaja meditation’s built-in therapeutic process functions, in part, as a mirror for self-reflection — a powerful mechanism for self-improvement and personal growth. Self-reflection is a powerful mechanism for self-healing and self-improvement. Once you’ve experienced the inner energy awakening and begin meditating, your attention turns inward — deep inside yourself, to your own subtle energy system. Sahaja boosts your powers of introspection and strengthens your ability to focus on self-improvement and developing better personal qualities. You become more focused on how to improve yourself and spend less time worrying about how to improve others. Once you become attuned to your own energy centers through Sahaja meditation, you’ll experience increased self-awareness and introspectiveness. You’ll have live and constant feedback of what’s going on with your mind and body. This powerful self-diagnostic tool allows you to quickly pinpoint the root causes of your problems, learn from your mistakes, and adapt your behaviors to achieve your goals.You’ll enjoy better health, sharper focus, and a deeper understanding of the universe and your place in it. Enhanced self-awareness and introspectiveness will allow you to see your unique gifts and talents with clarity, identify strategies to overcome obstacles, and heal old wounds and, ultimately, transcend the limitations that are preventing you from achieving your highest potential — personally, professionally and relationally. Meditation helps you master your emotions, which means you’ll be better equipped to focus and solve problems, rather than just feel guilty about your mistakes or poor performances and reflect on what “might have been.” You’ll begin to live in the present, rather than dwelling on the past (common in depression), or worrying about the future (common in anxiety). Experienced meditators develop a new “Idle Mode” (e.g., during downtime or daydreaming) that’s more present-centered and less self-centered, which leads to better mental health. Meditation can produce lasting changes through, primarily, two mechanisms: attentional control (by controlling what we pay attention to) and cognitive control (by exercising conscious control over our thoughts and feelings). Meditation teaches us to view thoughts simply as events in the mind, independent of their content and emotional charge. We are able to detach emotion from thought and pay nonjudgmental, nonreactive attention to all aspects of our experience, which reduces emotional reactivity and helps develop a mature emotional perspective of people, events and situations. Sahaja not only provides immediate stress relief, it’s also a good long-term stress management strategy. Thoughtless awareness helps quiet and calm the mind, and an unquiet mind is a key factor in the development of all diseases and disorders — both physical and psychological. You can think of Sahaja meditation as a stress buffer, helping you to manage stress, take control of your life, and sustain robust health and self-reliance. Regular meditation activates a built-in stress management mechanism that helps your cope with stressors on an ongoing basis, enhancing long-term resilience. The sense of inner calm you experience during Sahaja’s state of thoughtless awareness instantly boosts your energy level and emotional resilience, enabling you to better cope with stressful events in the future. Freeing your mind from stressful thoughts through meditation frees more of your energy to further your self-improvement goals and enjoy all the good things that life has to offer every day. People who practice Sahaja on an ongoing basis learn to assess their stress levels on an ongoing basis, detect the resulting energy imbalances quickly, and perform the balancing techniques necessary for achieving energy balance. Sahaja Meditation raises human awareness to a new dimension of collective consciousness, which enables you to feel the energy, influence it, and continue healing and improving yourself on an ongoing basis. Meditation has been widely shown to increase self-awareness and emotional intelligence. EI is the ability to identify, understand and manage emotions, and use them constructively to facilitate thought and drive behavior. Improved self-awareness improves self-confidence, which is your belief in your abilities within a particular realm of expertise. EI shapes our understanding of ourselves and our interactions with others. It defines how and what we learn from our experiences and helps us set priorities. It helps you channel your feelings and impulses purposefully, and pursue goals with energy and persistence. You develop the capacity to focus your emotions on a desired goal and delay gratification if it serves the greater, long-term goal. The practice of Sahaja helps you become more aware of how your actions impact others. Your own internal process of self-realization increases your compassion for, and sensitivity to, others and improves your communication skills, which improves your relationships. You become better at putting yourself in someone else’s shoes and anticipating how they will react to your words and deeds. Through Sahaja meditation, your compassion for — and sensitivity to — others automatically increases, which improves your relationships. Meditation makes us more self-reliant and self-sufficient. We don’t need to depend on others to feed our self-respect or reassure us of our worth. Meditation allows us to process how we feel about ourselves objectively, rather than through preconditioned biases or beliefs. Our thoughts are not filtered through negative, immature, or egoistic filters. Sahaja’s state of thoughtless awareness may allow implicit, subconscious self-appraisals to become incorporated into our conscious experience of ourselves (i.e., our explicit self-esteem) without judgment, which ultimately promotes secure high self-esteem. Sahaja Meditation improves self-esteem by awakening the inner Kundalini energy and nourishing certain energy centers. Specifically, nourishment of the heart energy center (Anahata) directly increases self-esteem by strengthening our sense of security about ourselves. And the energy center at the center of the forehead (Agnya) plays a big role in monitoring and regulating the ego. The regular practice of spiritual meditation can improve character and personality traits over time, ultimately producing the highest levels of self-respect. When we can maintain high levels of self-respect, we develop a deep reservoir of secure self-esteem. With an increase in energy comes increased desire to actively pursue your self-improvement goals. Meditation has been found to increase levels of the neurotransmitter dopamine and increase meditators’ ability to focus attention on the present moment (Kjaer et al., 2002). Dopamine is the primary neurotransmitter involved in regulating attentional systems and motivational drives (reward-motivation neural circuitry). Dopamine enhances learning, memory and the flow of information in frontal brain regions linked to thought and emotion. Dopamine is also involved in the release of natural feel-good endorphins, which act as natural mood lifters and have a calming effect on us. It is associated with feelings of joy, pleasure and reward; in fact, one study found that meditation increased dopamine by as much as 65 percent in limbic (emotional) brain regions (Lou et al., 1999). You’ll find that you have more discipline, sharper focus and increased motivation — qualities that are essential to putting you — and keeping you — on the path to improvement. Because meditation improves discipline, you’re more productive; you accomplish more faster. The balancing of the Kundalini energy in left energy channels helps overcome lethargy, a key deterrent to discipline. In fact, collective wisdom of the Sahaja practice shows that a blocked left energy channel results in poor discipline and lethargy along with weak attentional skills. The sharpening of attention achieved through Sahaja meditation creates an increased awareness of the need to set goals, stick to a schedule, continue to improve and complete tasks. Perception sharpens, illuminating your priorities and goals; they become crystal clear. You become more determined, more inner-directed, rather than allowing yourself to be governed by external influences. Clear attention makes it so much easier to identify priorities and stay focused on your goals. Sahaja meditation harnesses the healing power of our inner energy to help mediate our internal emotional conflicts. Meditation helps heighten your awareness of your own defense, break down your defenses, and help you work through the unpleasant thoughts and feelings you may have been defending against. Sahaja meditation’s state of thoughtless awareness frees the mind of self-defeating thought patterns and faulty, rigid belief structures that keep us stuck in a cycle of negativity. You become better equipped to analyze your own feelings and pinpoint what’s triggering negative emotions and reactions. Self-actualization can be thought of as the higher human quest to be creative, to grow, to acquire knowledge, to develop our abilities and fulfill our potential. Self-actualization is an ongoing state of being and becoming. It is the process of actualizing one’s potentialities at any time, in any amount. We all have the potential to self-actualize, to become all that we can be through a lifelong process of self-improvement. In self-actualizing moments, we are experiencing fully, vividly, selflessly, with full concentration and total absorption. We are wholly and fully human. Through Sahaja meditation, we learn to make growth choices instead of fear choices. We develop an authentic self, and strive, from our very core, towards growth like a plant reaches toward light. Meditation frees the mind to focus on higher being needs (e.g., truth, goodness, justice, richness), rather than only the lower deficit needs (biological, safety, belongingness and love, esteem).